The NFPA Standards for Self-Contained Breathing Apparatus (SCBAs) already require that your department or agency have written SOGs in place for the selection, use, care, maintenance, and replacement of this most essential safety gear for firefighting. In July 2012 there was an NFPA Alert notice issued for SCBAs based on an investigation by NIOSH (1) and other agencies on the degradation of the SCBA facepiece lenses when exposed to intense heat (2). New testing standards by National Institute of Standards and Technology (NIST) have been released, and the standards have been reprinted in this issue of At the Ready with permission. To access the NIST article on the new testing standards, click here. The news of the upcoming release of the 2013 NFPA 1981 Standard on Open-Circuit Self-Contained Breathing Apparatus (SCBA) for Emergency Service has been discussed at great length earlier in other publications, such as Firehouse Magazine (3), at the FireRescue1.com blog (4), and at conferences this past year. At the Ready takes a look at the overall impact of the updated NFPA Standards on the small to mid-sized departments, volunteer organizations, and those who have been contemplating or needing to replace existing SCBAs. Because the NFPA Standards operate together, they should be cross checked along with any other Standards that are mentioned within each document. Updates for 2013 are being released for the following NFPA SCBA Standards referred to in this article. 1. NFPA 1981 Standard on Open-Circuit Self-Contained Breathing Apparatus (SCBA) for Emergency Services. IMPORTANT NOTE: The 2013 edition of NFPA 1981 contains new NFPA certification standards in effect now. As of Sept. 1, 2013, standard firefighter breathing equipment cannot be certified to 2013 NFPA standards unless the facepiece lenses pass a new rigorous test developed by NIST (5). 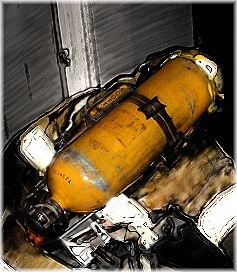 As of the 2013 edition of the NFPA 1852 Standard, Selection, Care, and Maintenance of Open-Circuit Self-Contained Breathing Apparatus, in-service SCBAs must be in compliance with the NFPA 1981 Standard on Open-Circuit Self-Contained Breathing Apparatus (SCBA) for Emergency Services Standards in effect in the 1997 NFPA 1981 release (at the time of manufacture) or later (See 1852- 4 for program compliance). Five SCBA manufacturers, Scott Safety, Avon Protection, MSA Fire, Draeger, and Honeywell First Responder Products have all released new SCBA designs that they expect to be compliant with the 2013 versions of NFPA 1981. As of this article, all are awaiting compliance notification. If your department purchased SCBAs that were in compliance prior to the 1997 NFPA 1981 Standard, it is time to either upgrade or retire them. Upgrades require that the SCBA must comply with the 2013 NFPA 1981 Standards. Retire means just that (6). In compliance with NFPA 1852, a risk assessment by the department is required for the selection process. During the risk assessment, NFPA encourages a holistic approach, and the Standard requires that “the risk assessment should include, but is not limited to expected hazards that can be encountered by the users of the SCBA based on the type of duties performed, frequency of use, the organization’s experiences, and the organization’s geographic location and climactic conditions. (7)” In areas where there have been significant changes to the type of business moving into an area, or perhaps an increased population growth with infrastructure changes (such as boom in subdivision type residential living), it may be a good idea to perform another risk assessment. If you have SCBAs in your department that will no longer meet the Standards as outlined in NFPA 1852, now is a good time to conduct an assessment as your agency plans to retire, upgrade, or replace them. NFPA 1852 instructs departments to consult other Standards during this assessment. See NFPA 1500 Standard on Fire Department Occupational Safety and Health Program, the Code of Federal Regulations 29 CFR 1910.156, and the 2013 edition of NFPA 1982 Standard on Personal Alert Safety Systems. As always, look to the Standard for guidance; follow your state and local ordinances, and your agency’s SOGs. Planning for replacement may be underway already at your agency. New SCBAs may be out of your department’s budget, but skimping on this equipment is, as you well know already, never a good idea. For smaller volunteer departments, it is likely that replacement for only the out-of-compliance SCBAs is in the budget. Used and Refurbished SCBAs are available on the market, and a few well-known suppliers are Dalmation Fire, 5 Alarm Fire and Safety Equipment, and Surplus Fire Equipment. After your risk assessment, these suppliers, among others, should be able to work with you to ensure the right equipment is selected. At the Ready does not endorse any specific manufacturer or supplier; these resources were selected by reputation and a little research. There are others. Training changes have also taken place in the Standard. The 2013 edition of the NFPA 1404 Standard for Fire Service Respiratory Protection Training has added standards for instructors and safety officers (See 1404-8 and 1404-10). Take time to review the changes, and ensure your SCBA training is on par with the new requirements. Note that as always, the SCBAs used in training must meet the compliance standards of NFPA 1852, and this is the responsibility of the “Agency Having Jurisdiction” (AHJ). This is important for smaller departments where agencies with older equipment may not be in compliance with the 1997 standards from NFPA 1981, but attend training with other agencies. The AHJ is required to provide the equipment for the training that is of the “type and manufacture” used in their agency, but may not identically match the equipment used at the trainee’s “home” department. We recognize that there are departments out there that do not have a “requirement” to meet the NFPA Standards and have local Standards and SOPs that must be followed. That said, consulting the NFPA Standards is always a good idea. You can register for an account online to access a “read only” copy, and we urge everyone who has not done that already to take the time to do so this month. The FAQs about free access can be found here. For departments who are required to follow the NFPA Standards, this short article does not provide nearly all of the information you need. Consider purchasing your copy the new standards now, which are available from the NFPA site. Also, don’t forget the Stand Up for Safety Campaign, released in July 2013 by the International Association of Fire Chiefs (IAFC). This campaign is in response to the high number of multiple fatality incidents this year. Get their list of discussion topics here. 7. NFPA 1852 Standard, Selection, Care, and Maintenance of Open-Circuit Self-Contained Breathing Apparatus, 5.1.1.2, NFPA, 2013, http://www.nfpa.org/catalog/services/onlinepreview/viewer.asp?id=185213 accessed August 12, 2013.